Eyes, nose, throat and lungs - they're all connected. That's why Natural Factors formulated a supplement designed to support the health of your lungs, bronchial and sinus health. 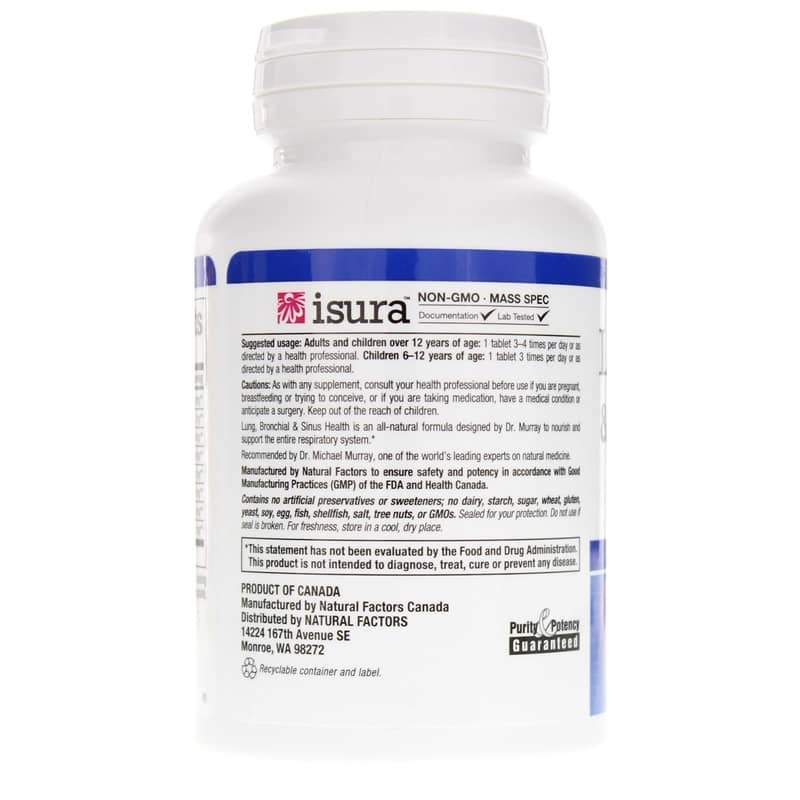 Dr. Murray designed this product with ingredients intended to nourish the entire respiratory system. That includes brome lain to potentially reduce nasal inflammation - helping you deal with runny noses. Wild cherry extract could provide antiviral activity and be helpful for sinus and upper respiratory symptoms. Marshmallow may help loosen phlegm and mullein can help reduce congestion. 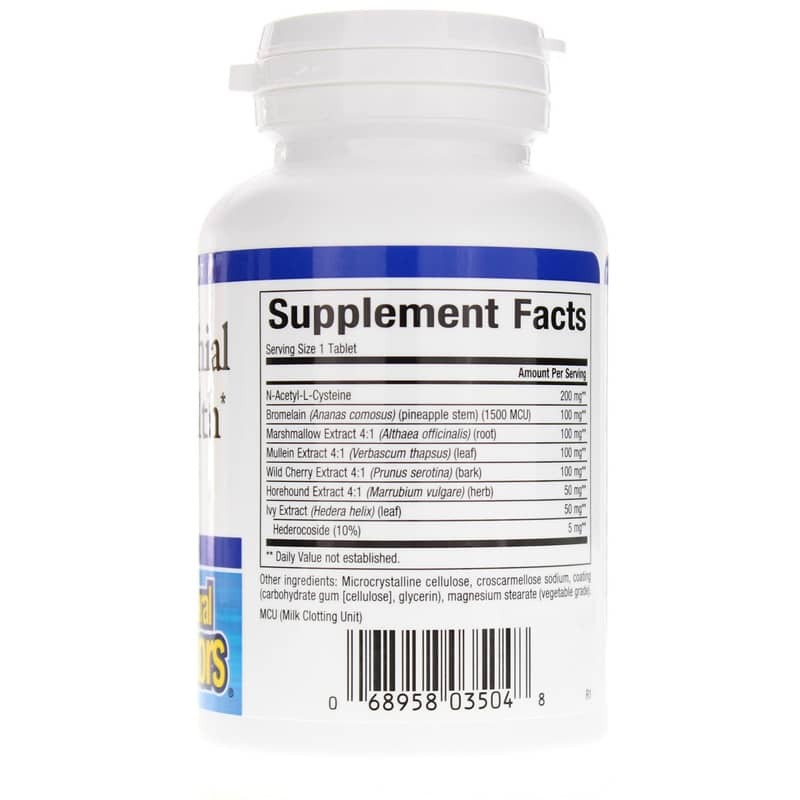 This supplement also contains 200mg N-Acetyl-L-Cysteine. It's an amino acid derived compound that's been shown to help reduce mucus and help improve breathing in various lung conditions. Discover a natural way to handle those frustrating symptoms that make you feel stuffed up and wheezy. 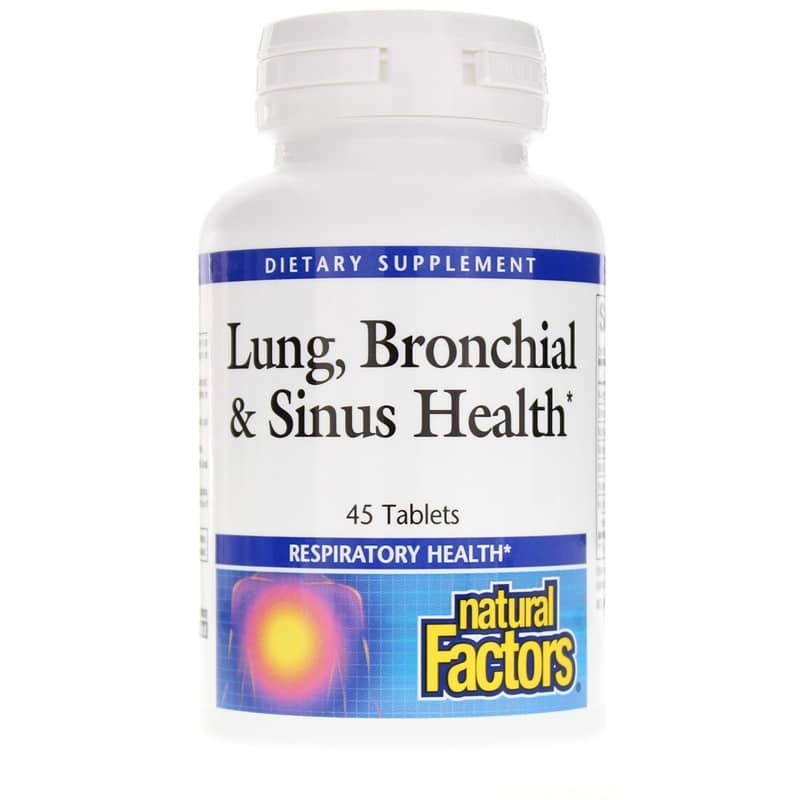 Take a deep breath and choose Lung, Bronchial and Sinus Health from Natural Factors today. Contains NO: artificial preservatives or sweeteners; NO dairy, starch, sugar, wheat, gluten, yeast, soy, egg, fish, shellfish, salt, tree nuts or GMOs. Adults and Children over 12 years of age: 1 tablet, 3 to 4 times per day or as recommended by a healthcare professional. Children 6 to 12 years of age: 1 tablet, 3 times per day or as recommended by a healthcare professional. Seems to be good stuff. I am very happy with this item. Ordering is easy and the product superior.